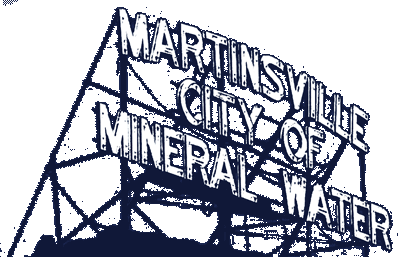 Mayor Shannon Kohl called the Martinsville Common Council to order on Tuesday, October 9, 2018. Councilman Ben Merida led the Prayer to those in attendance. Mayor Kohl then led the attendees in the Pledge of Allegiance. A motion was made by Councilman Eric Bowlen to waive the reading of the minutes of September 17, 2018 and to accept the minutes as written. Councilman Chip Keller seconded the motion. The Motion passes 5-0. Councilmen Kris Fuller and Terry Buster abstained due to absence. City Engineer Josh Messmer reported the sewer project in the alley between Main Street and Jefferson Street is complete. Ordinance 2018-1786 / General Obligation Bond 2018 – Matt Frische of Reedy Financial Group and Thomas Pitman Bond Council of Barnes and Thornburg appeared to report the City will receive approximately $1,950,000.00 in the upcoming bond. The bond will be tax neutral, meaning, property taxes will not increase. A motion to recess the meeting of the Common Council was made by Councilman Phil Deckard II. Council man Mike Lanam seconded the motion. The Motion passes 7-0. A motion to open the Public Hearing was made by Councilman Chip Keller with Councilman Ben Merida seconding. The Motion passes 7-0. Mayor Kohl called three times for Public comments. There being none, a motion was made by Councilman Kris Fuller to close the Public Hearing. Councilman Terry Buster seconded the motion. The Motion passes 7-0. A motion to reconvene the Council meeting was made by Councilman Eric Bowlen. Councilman Terry Buster seconded the motion. The Motion passes 7-0. A motion to accept and allow Ordinance 2018-1786 was made by Councilman Eric Bowlen and seconded by Councilman Terry Buster. The Motion passes 7-0. Teamsters 135 Contract – Ed Goodwin, Teamster Rep, appeared to ask the Council “What more can I do to get this contract approved?” Councilman Eric Bowlen then led the discussion. Bowlen said he has no issues with the contract except the part regarding sick days. Goodwin said the contract cannot be changed because the Union employees have already voted. The consensus of the Council that they would approve the contract if that portion was removed. No action was taken. Ordinance 2018-1788 / 2019 Salary Ordinance for Elected Officials – A 2% raise has been proposed for 2019. No action was taken as this was the first reading. Ordinance 2018-1787 / 2019 Salary Ordinance for Appointed Officials and Employees – A 2% raise has been proposed for 2019. No action was taken as this was the first reading. 2019 Budget – A motion to recess the Council meeting was made by Councilman Eric Bowlen. Councilman Terry Buster seconded the motion. The Motion passes 7-0. Public Hearing 2019 Budget – A motion to open the Public Hearing was made by Councilman Eric Bowlen with Councilman Mike Lanam seconding the motion. The Motion passes 7-0. Mayor Kohl called three times for Public Comment of questions. Clerk-Treasurer Becky Tumey read aloud the major funds proposed 2019 Budget. There being none, a motion to close the Public Hearing was made by Councilman Phil Deckard II. Councilman Terry Buster seconded the motion. The Motion passes 7-0. A motion to reconvene the Council meeting was made by Councilman Eric Bowlen. Councilman Terry Buster seconded the motion. The Motion passes 7-0. Ordinance 2018-1791 / 2019 Budget – Action will be taken on October 22, 2018 as this is the first reading. Surplus Firefighter Gear – Fire Chief Terry Anderson requested 27 coats and 10 pairs of pants be declared surplus. Anderson stated the gear had reached its ten- year expiration limit. He requested to be allowed to donate the gear to Central 9 for their fire training program. A motion to declare the equipment as surplus was made by Councilman Eric Bowlen and seconded by Councilman Terry Buster. The Motion passes 7-0. Ordinance 2018-1789 / Additional Appropriation Community Crossings – In July 2018, the Council passed a resolution that allowed the transfer of funds from Local Road and Street to the Community Crossing Grant for the City’s match. A motion to accept and allow the Additional Appropriation was made by Councilman Chip Keller. Councilman Eric Bowlen seconded the motion. The Motion passes 7-0. A motion to accept the claims as reported was made by Councilman Terry Buster and seconded by Councilman Mike Lanam. The Motion passes 7-0. Questions regarding the 2019 Budget were answered. Several residents appeared to request the City update the Ordinance regarding Animals. Councilman Ben Merida agreed to sponsor the project. There being no further business, Councilman Terry Buster made a motion to adjourn. This was seconded by Councilman Mike Lanam. The Motion passes 7-0.